This project impacts hundreds of talented weavers and the families they support. Onameditse (pictured) lives on the outskirts of Shakawe. 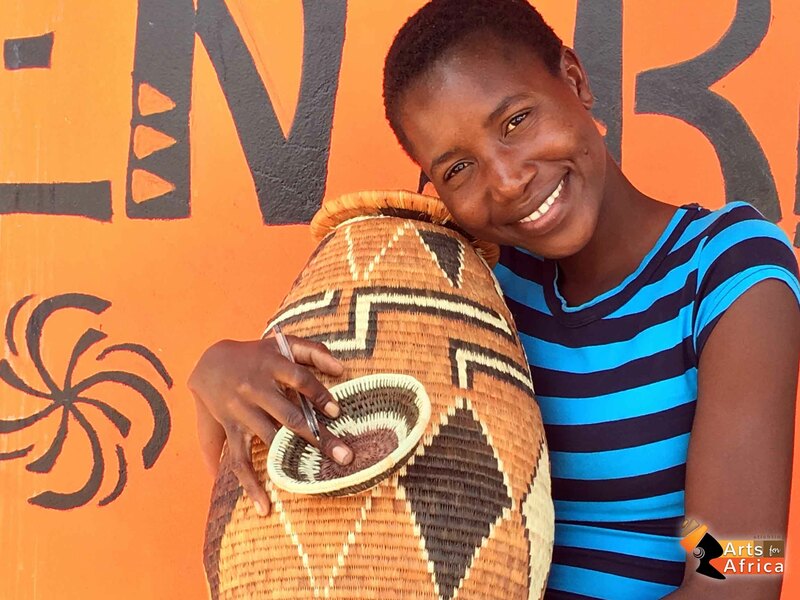 She is one of many talented women who benefits from the sale of baskets. She also tends the shop.